With so many banks who offer checking accounts, most financial institutions launch promotions to get the interest of the consumer. One bank that’s offering more for their checking account is Key Bank. 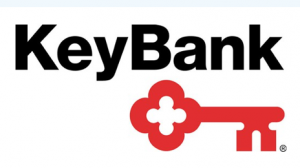 KeyBank is a community based financial institution that has been helping a lot of people and even companies. They have been providing a lot of financial services such as checking accounts, credit cards, savings, investments, loans, and more. One type of personal checking account that many would consider is the Key Express Checking Account. What are its details? First, it does not require a monthly service maintenance charge when the account holder will deposit at least $500. Another option is when the owner will make seven transactions in the account. Another advantage of this checking is that there is no monthly fee for the debit cards. Those who will have the checking accounts will be able to access their accounts 24/7 because of the online banking services they offer. There are also many people who would go for this account because of their KeyBank relationship rewards. Owners will be able to redeem the points they make to a wide selection of hottest and brand new items. When they will always use their checking accounts, they will be able to get different gift cards from famous retailers and restaurants. Travel airline tickets are also available as well as electronics and appliances. These are just some of the possible rewards that checking account holders can get which for sure will make them very happy.